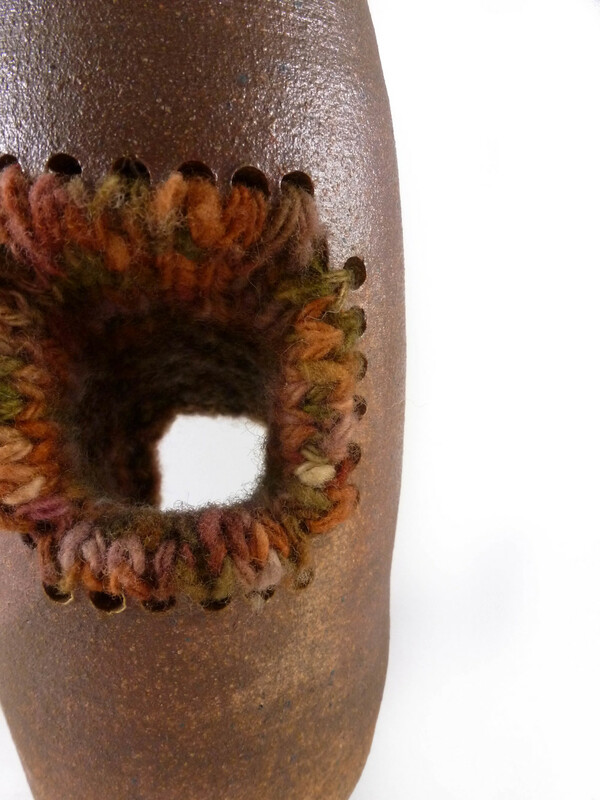 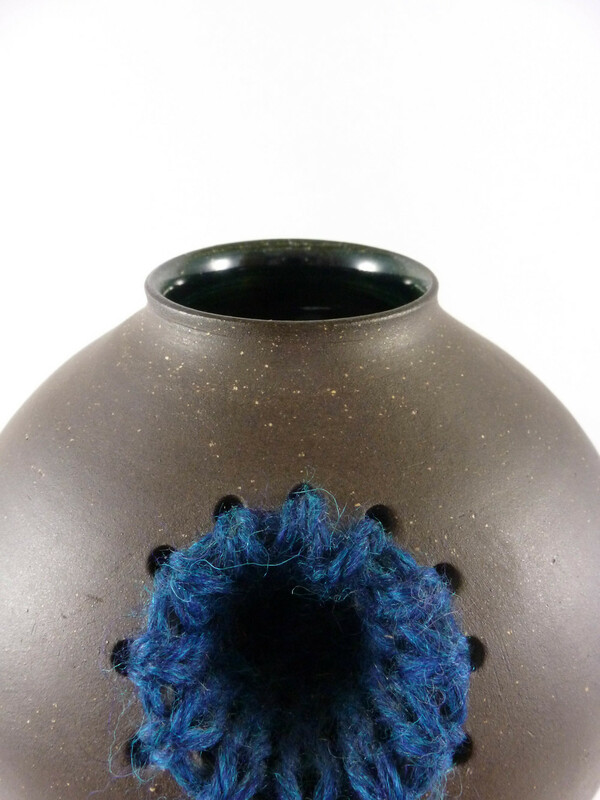 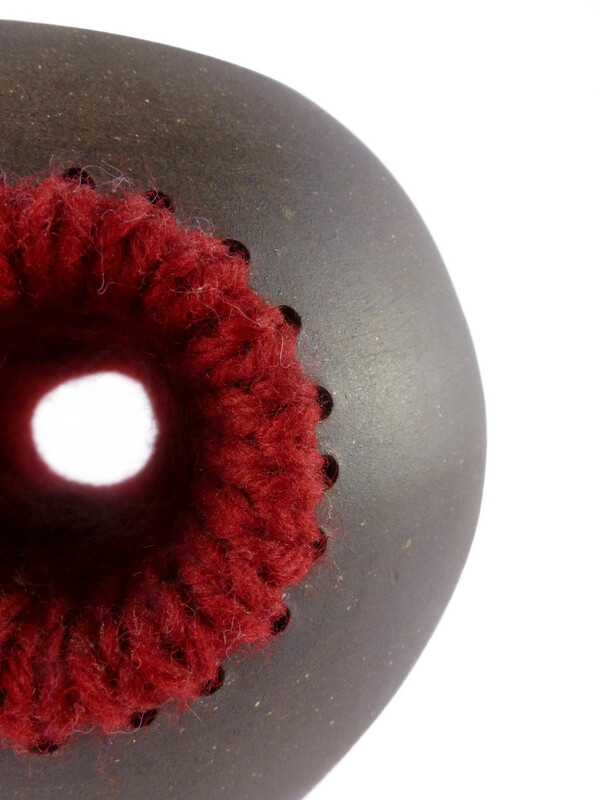 I made these pieces between 2008-2010 as a way to incorporate my love of fiber with my ceramics. 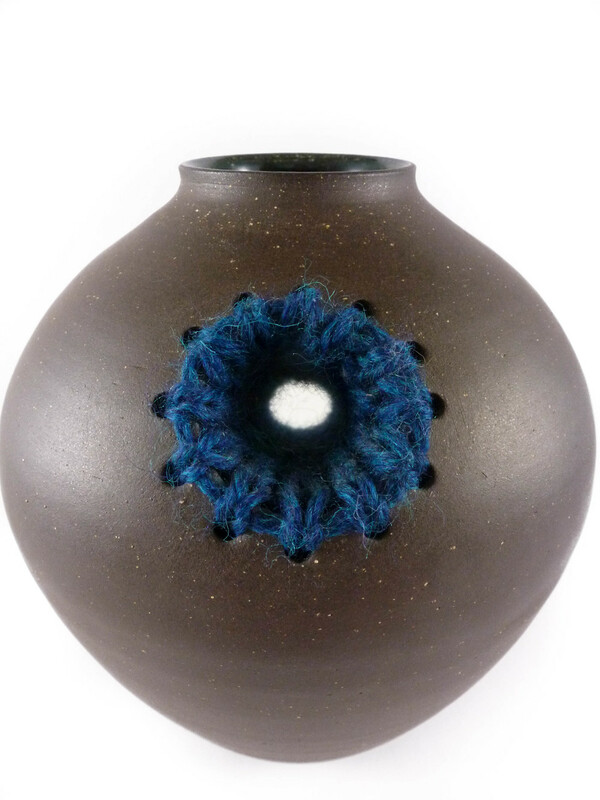 The yarns are made from wool, silk, angora and/or llama, and some were handspun by me. 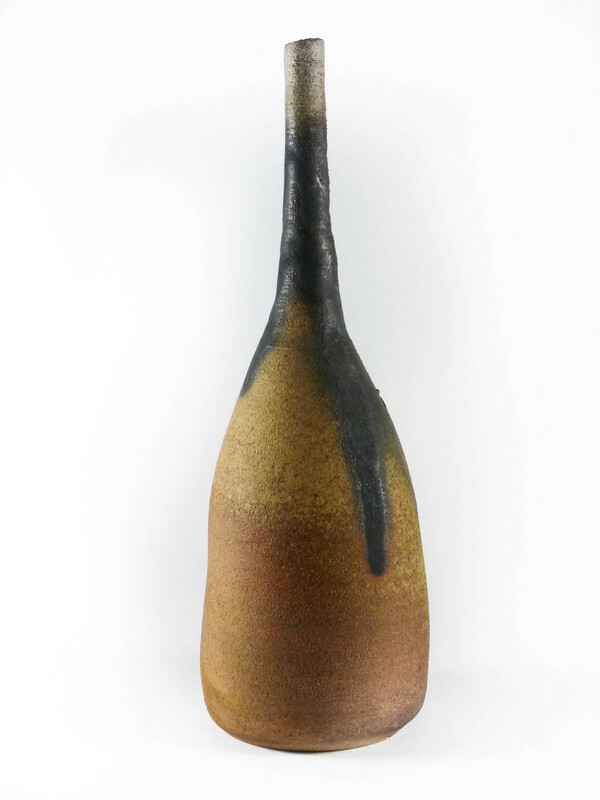 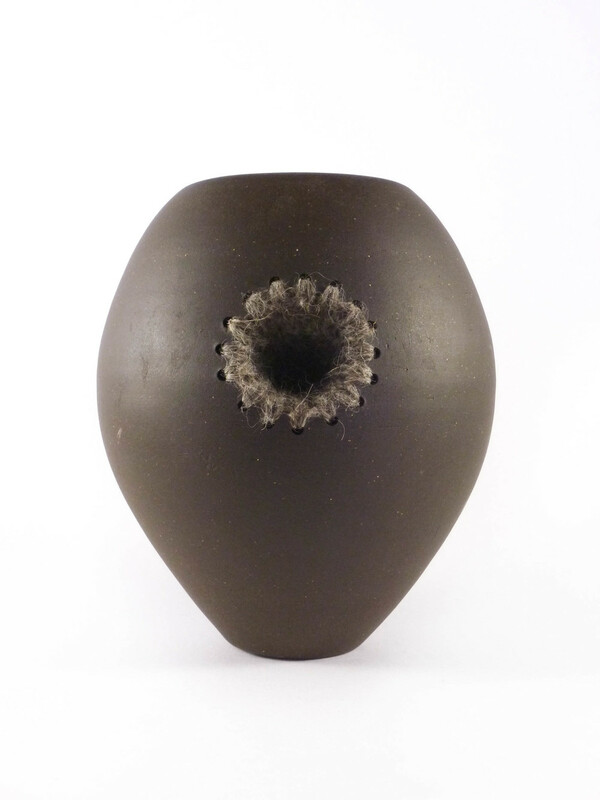 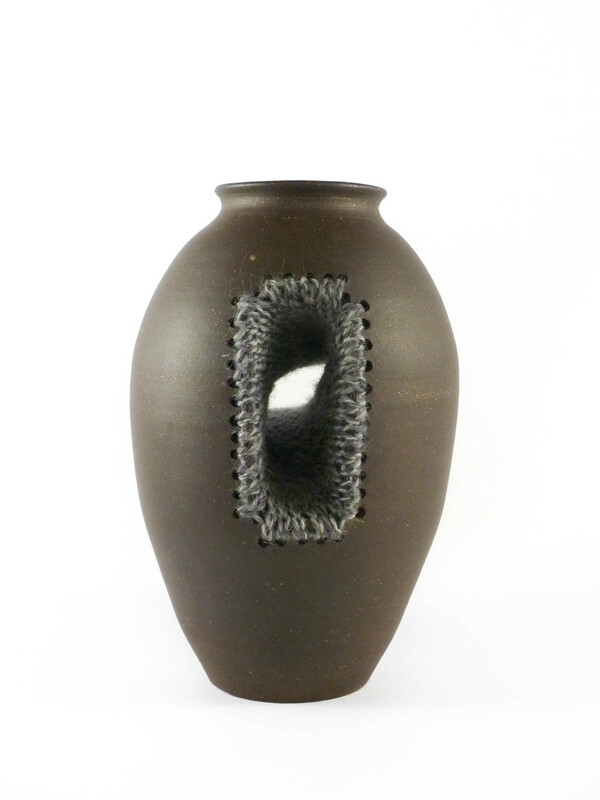 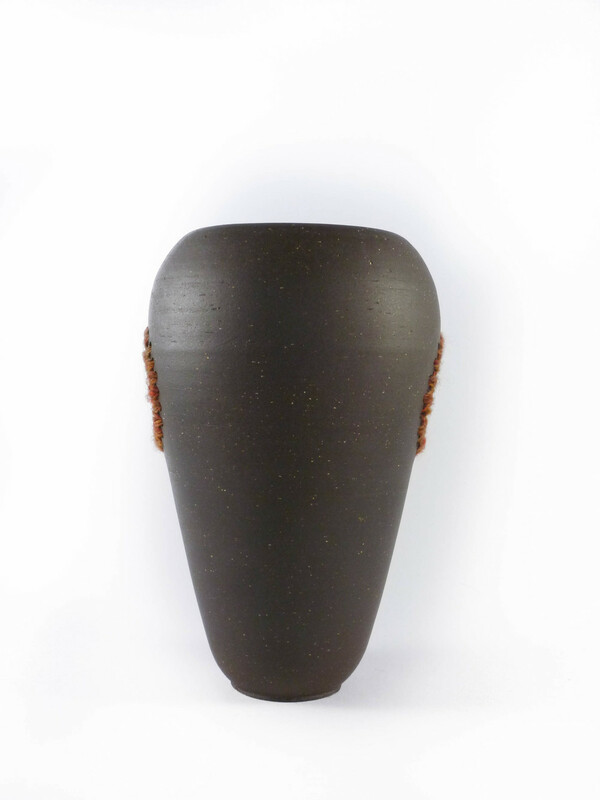 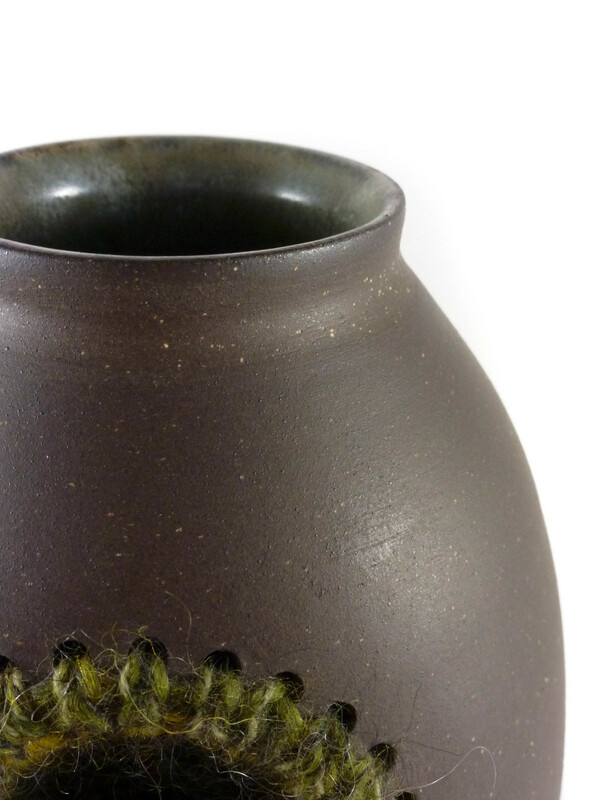 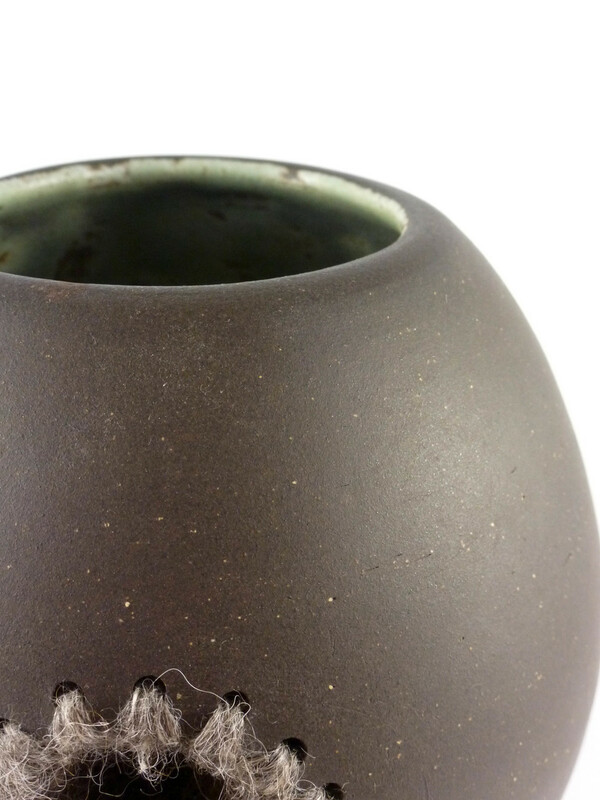 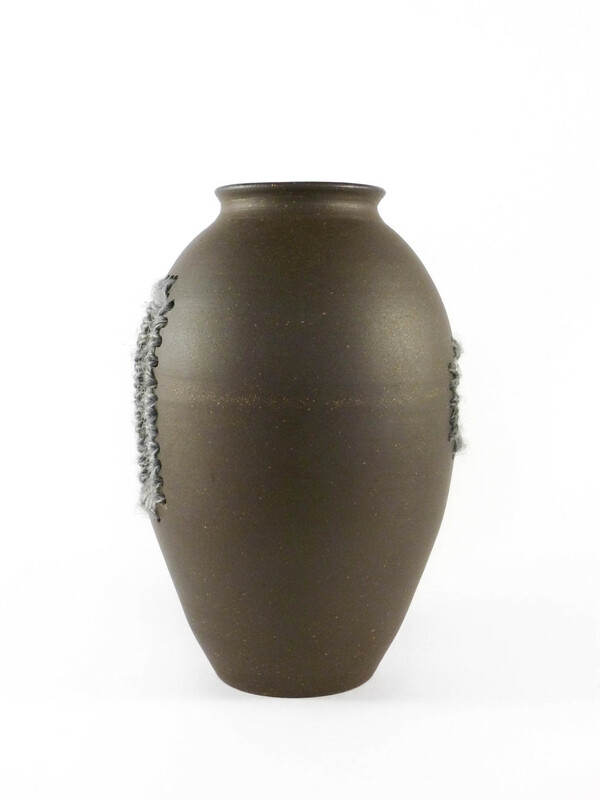 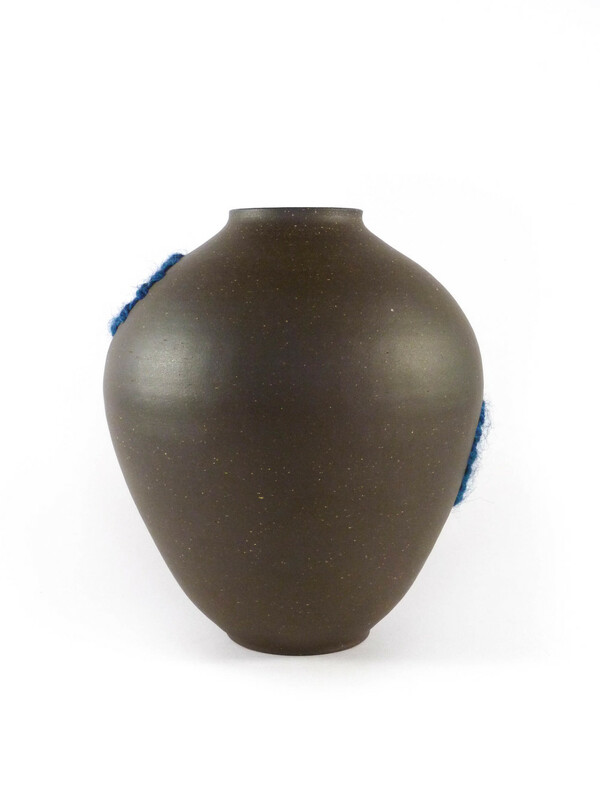 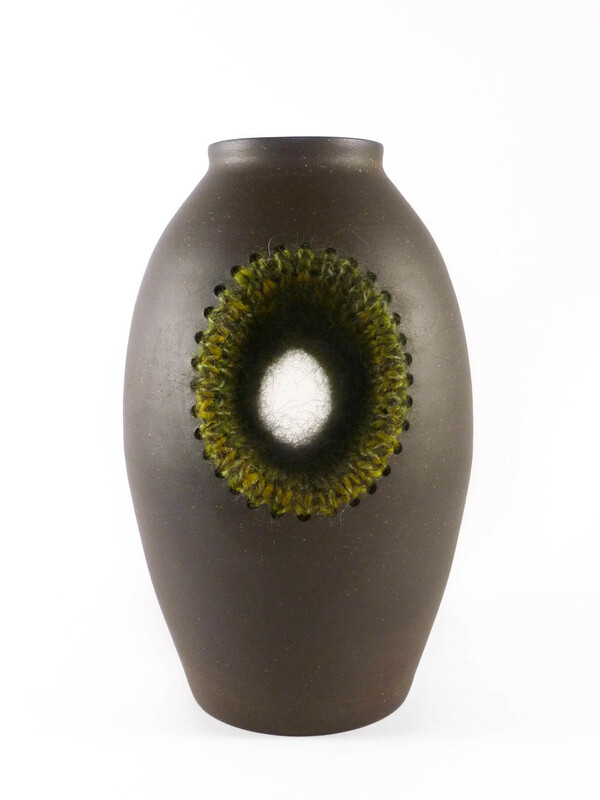 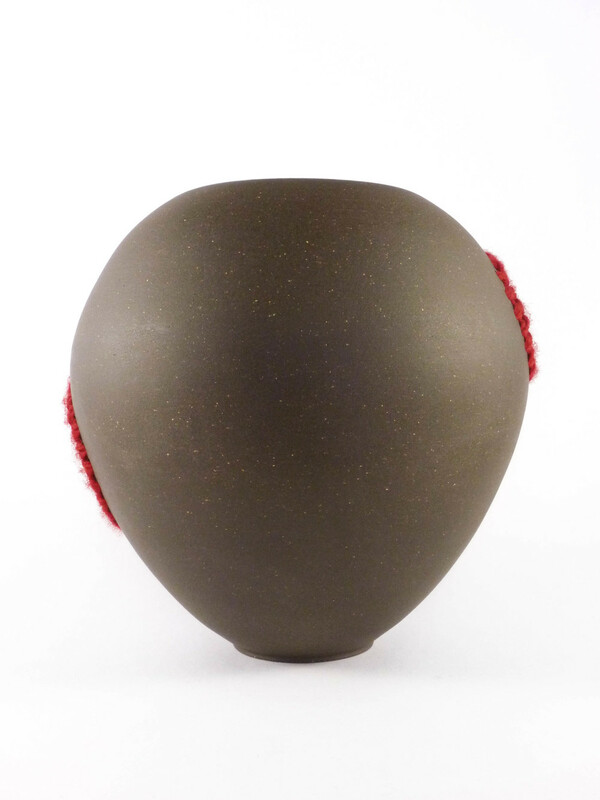 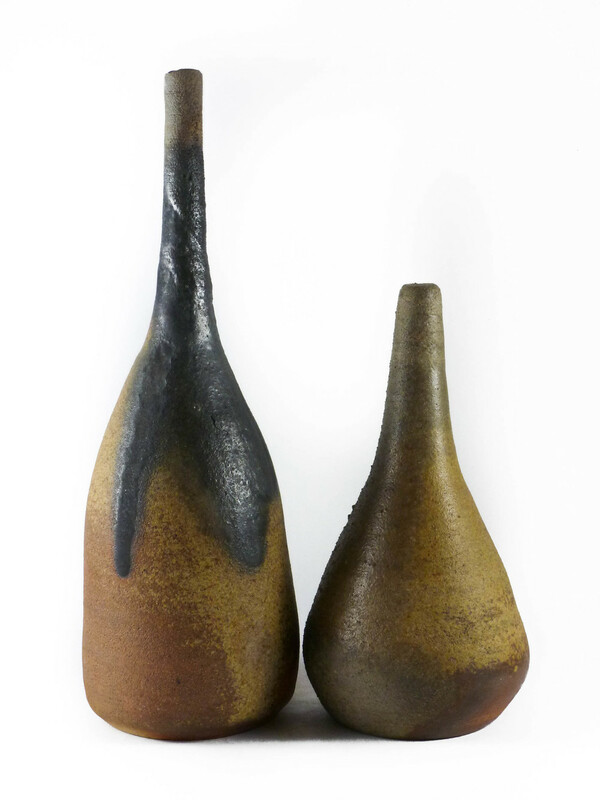 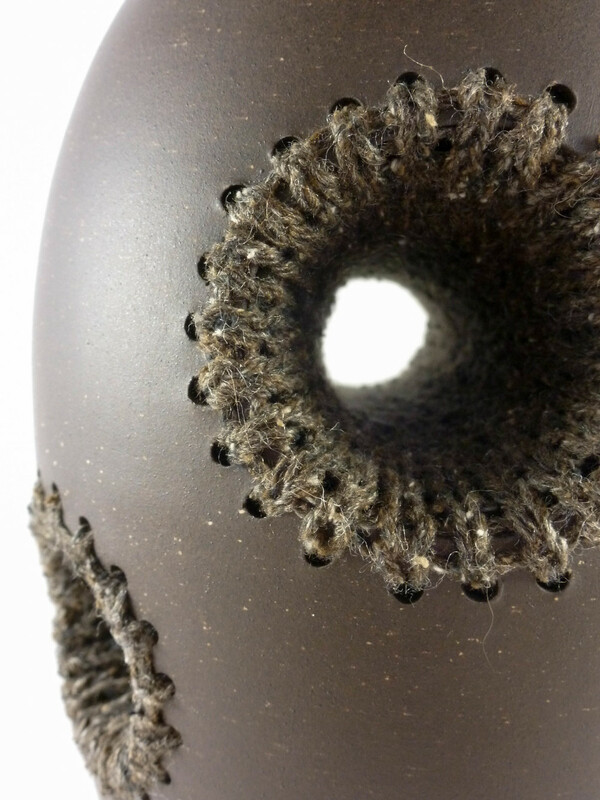 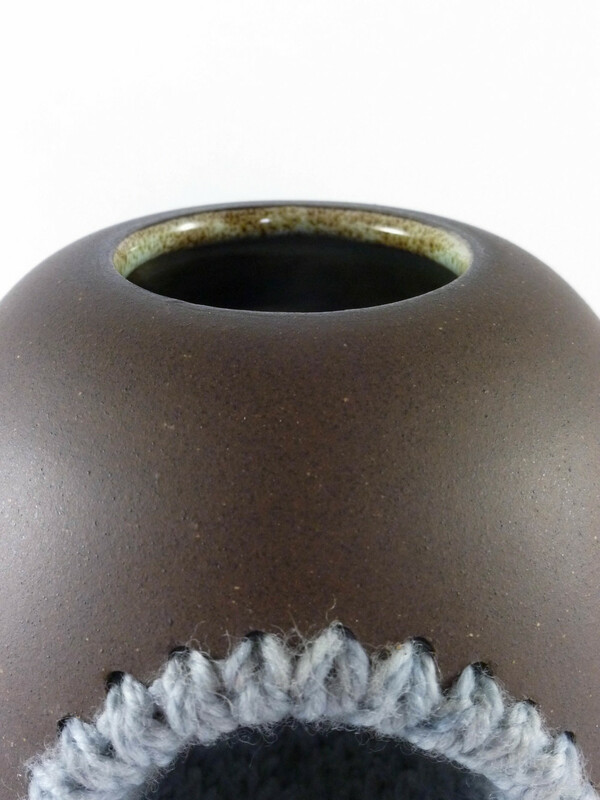 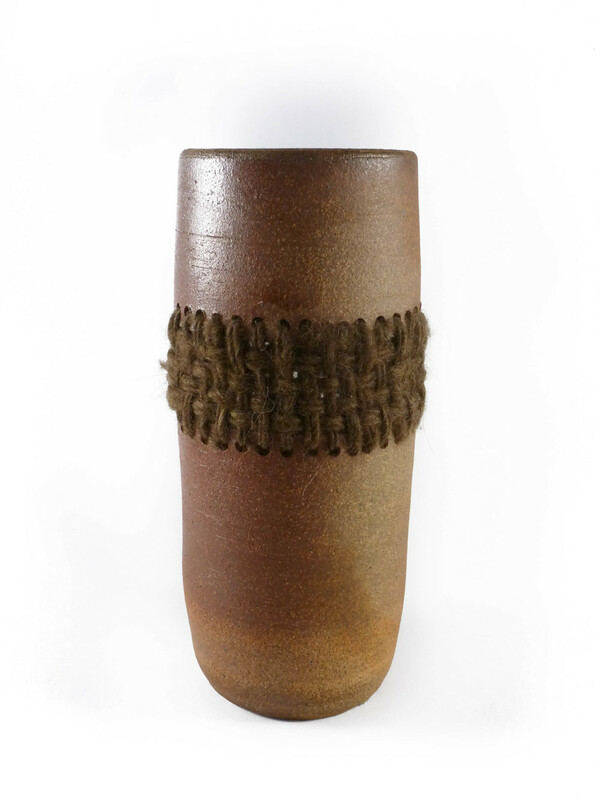 The dark brown clay is unglazed on the outside of the vessels - the brown is the natural color of the clay. 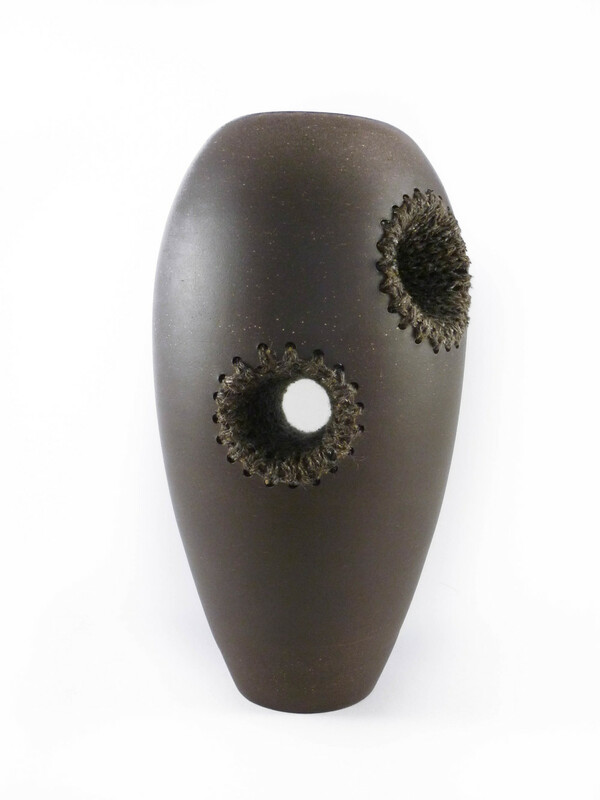 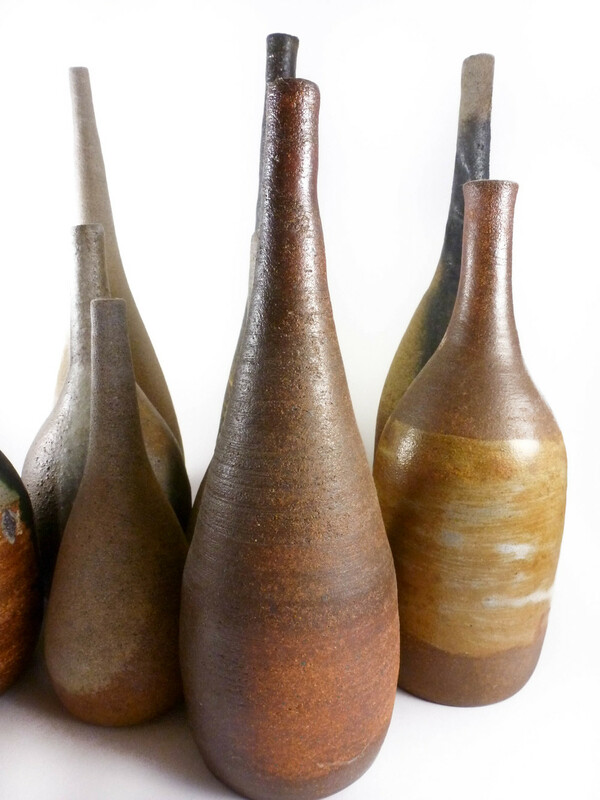 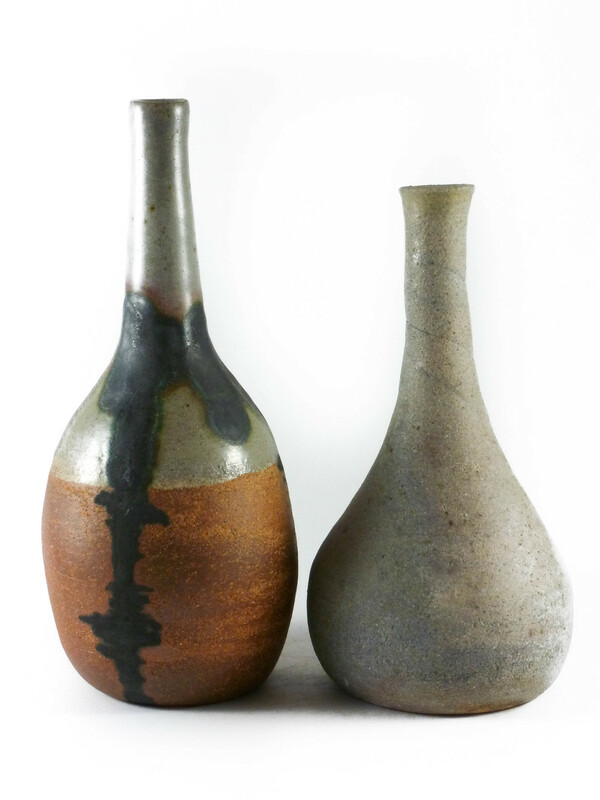 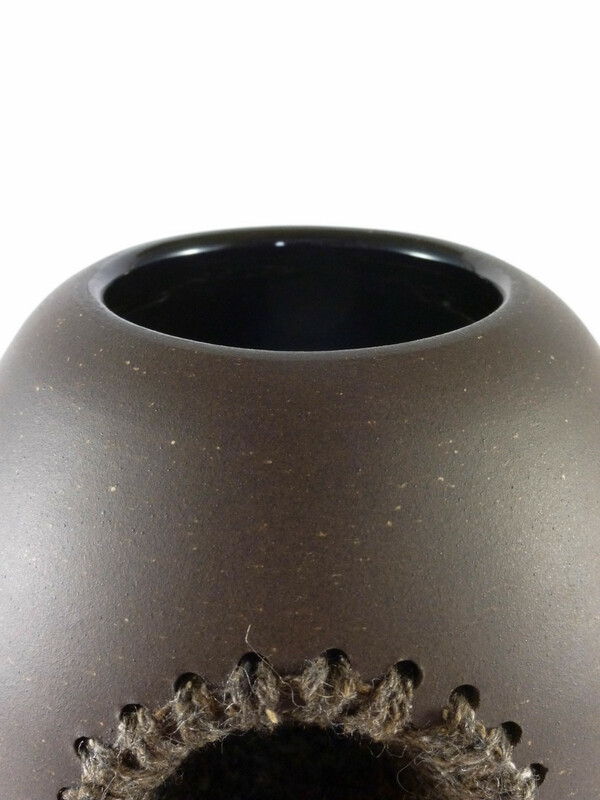 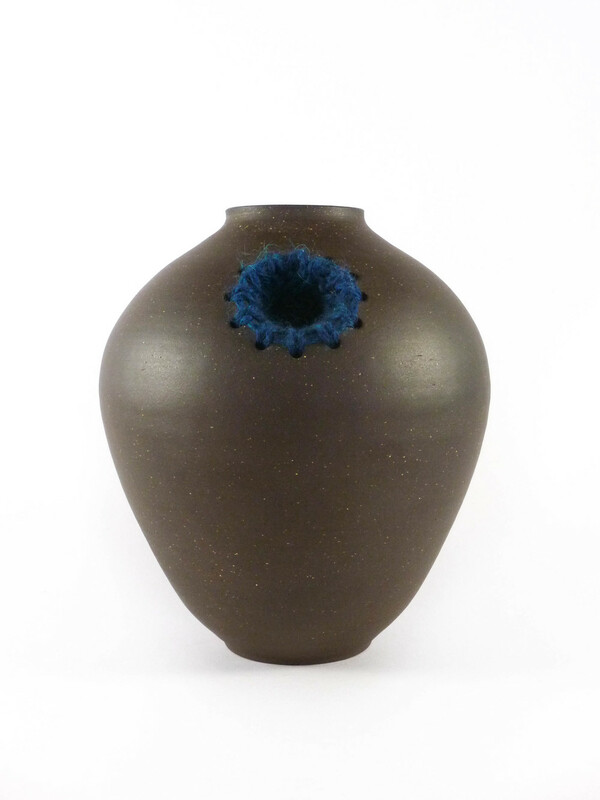 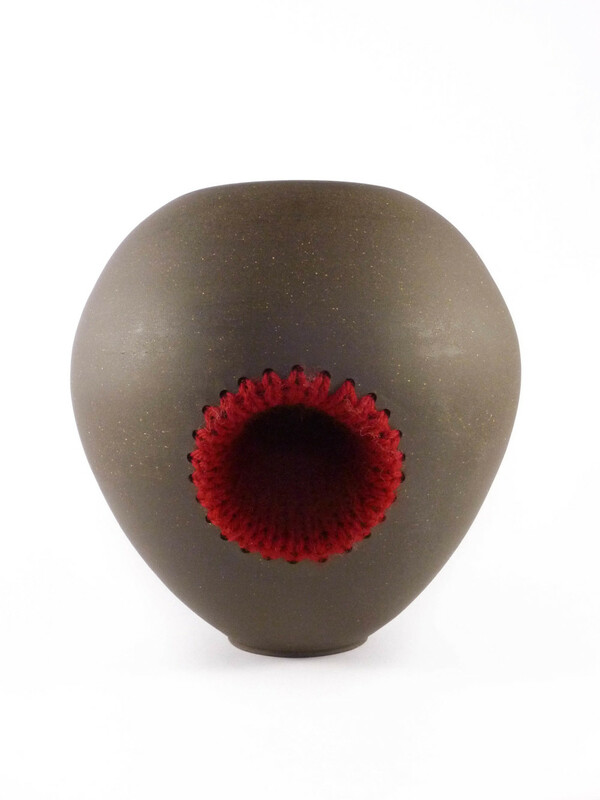 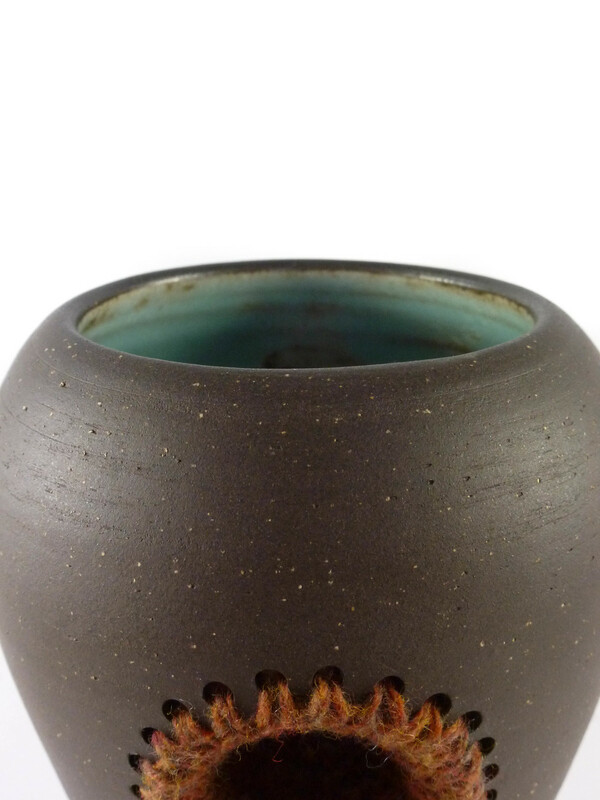 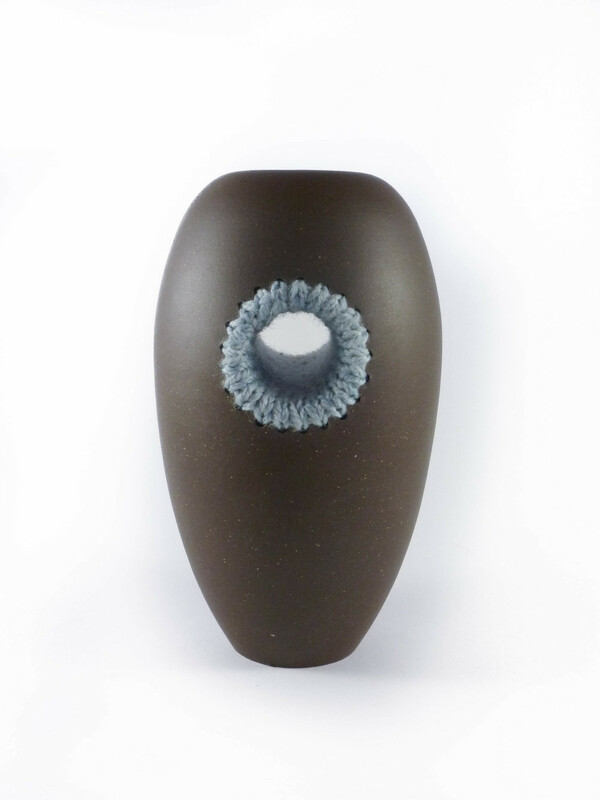 The last three pieces were woodfired in an anagama kiln, the wood ash staining the clay with rich shades of brown. 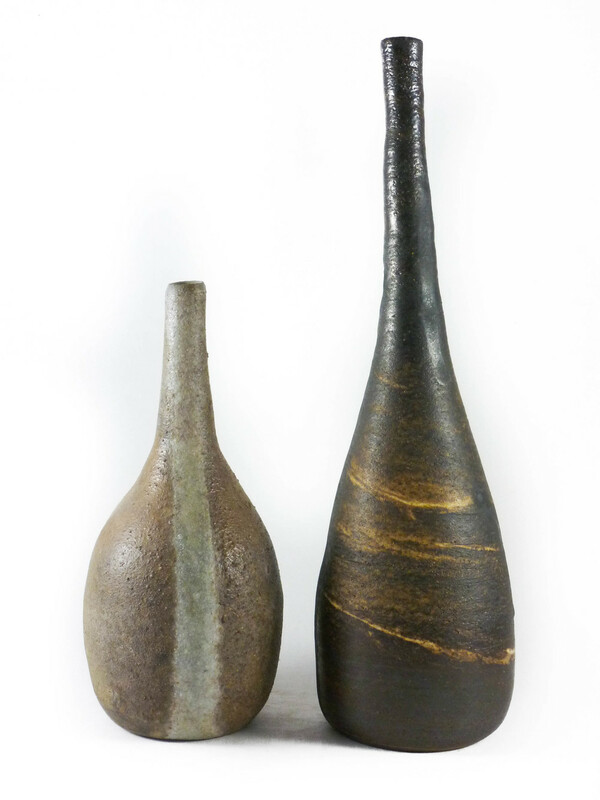 I made these vases between 2008-2011. 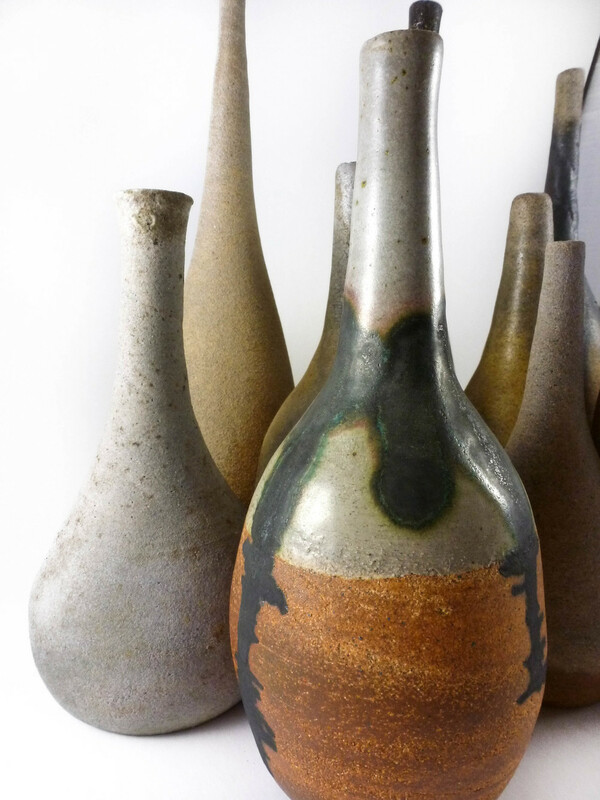 With the exception of the final two, they were woodfired in an anagama kiln, the wood ash staining the clay with rich shades of brown.